Last year I went to the Celebrate Israel Parade for the first time as a spectator and watched with pride as prominent figures like Chuck Schumer and Bill de Blasio marched down 5th Avenue waving Israeli flags in solidarity with the Jewish community. This year, not only will I march, but I have the added layer of leading an LGBT contingent on behalf of A Wider Bridge, JQY (Jewish Queer Youth), and Eshel. When I think about this parade, the word I keep coming back to is pride. It’s a parade that values our diverse community over politics, as evidenced by the wide spectrum of people who attend, which includes an estimated 40,000 people from more than 100 organizations. The parade is about celebrating the vibrant success of the Jewish state and the Jewish people as a global community. 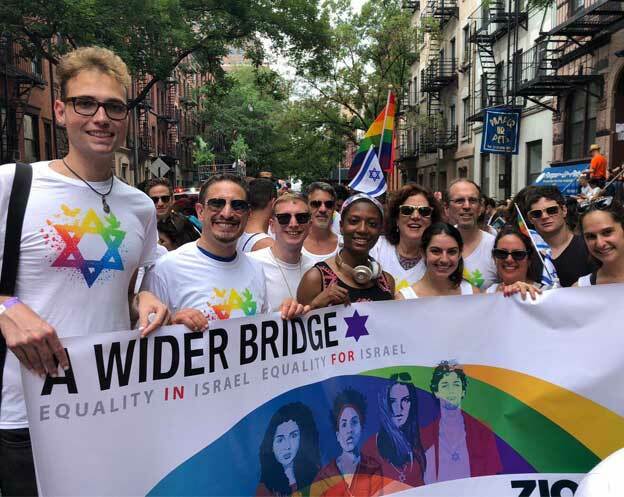 Even people who have never been to Israel attend the parade because they feel a deep connection to their Jewish identity or solidarity. We march for the same reason LGBTQ people march in gay pride parades: because it’s important for minority groups to show up; there is power in numbers, and we’re proud to be embraced by the city when not so long ago, we weren’t. By marching, we sustain our appreciation for how far we’ve come and how much more we have in store for the world. We march in celebration of our intersecting identities. While the opposition we faced last year was alarming, it united the Jewish and LGBT communities in having thoughtful dialogue and ultimately made us all stronger. I believe, ironically, those very acts of protest are why we march. 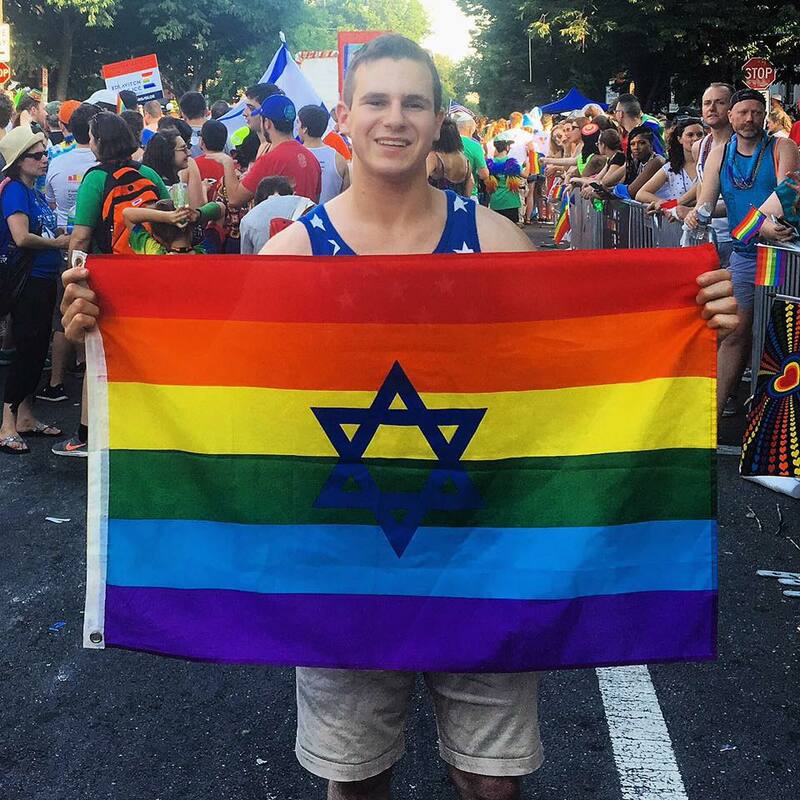 There will always be people who try to delegitimize Israel, just as there are many who will delegitimize LGBT people, but when we march together we are stronger. I invite you to join us this year, Sunday, June 3, as we march with pride! Peter Fox is an A Wider Bridge Young Professional Leader. Most recently, he represented AWB at the #DigiTell18 Digital Media Conference in Israel.